The biggest (totally normal) fear when leaving your familiar homelands is the amazing people that you have in your life and how much you will miss them. There is no denying that this part was hard. These days there is no excuse not to keep in touch with the amount of technology at our fingertips. I have simultaneous conversations going on with the same friends on iMessage, WhatsApp, Messenger, Instagram - it's crazy! I have regular Whatsapp calls planned in which is great as it gives you something to look forward to. Singapore is a great place to meet new people. 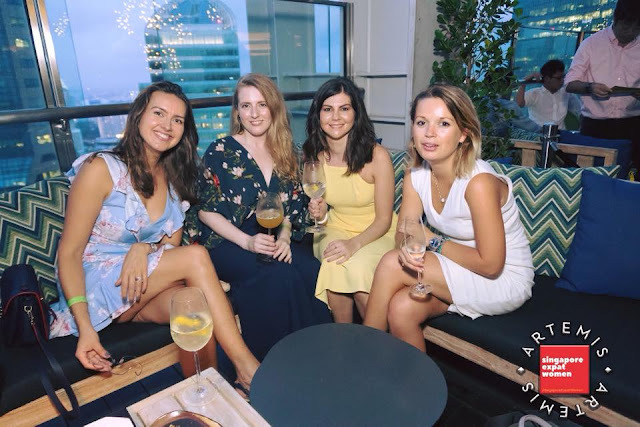 I joined expat groups early on, browsed the Meetup app and I've even met people through my Instagram! It can be daunting heading out on your own to an event for the first time but in any expat place you move to you are pretty much guaranteed to meet friends with similar interests. The key is to just throw yourself out there. I now have a little group of like minded friends who I love meeting for coffee, drinks etc. I then had an unexpected trip home in April and it really changed my attitude. 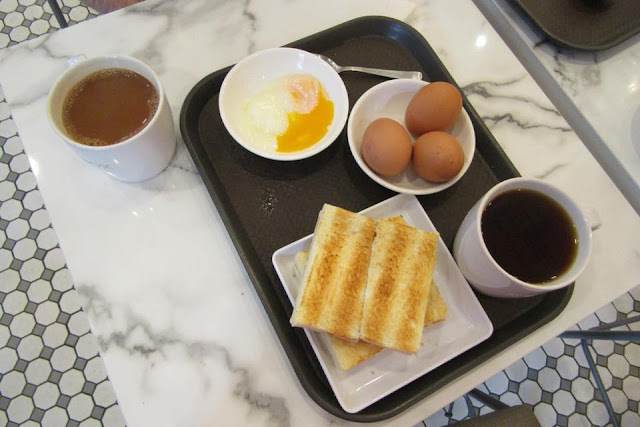 I came back willing to try everything and I really have realised that attitude and perseverance is everything when it comes to adjusting to food in a new place. I have tried lots of local food now and love most of it - check out my East Coast Lagoon Food Village post for more! As well as food, another common worry about moving abroad is missing those little home comforts and trinkets you might like to have with you. This meant I brought far too much random stuff, the most stupid being a fluffy hot water bottle! That soon went home when I flew back in April. The reality is you won't need as much as you think. It's good to join expat groups before you move as you can ask questions about what to bring with you. I wish I'd brought less clothing as it is so easily available here and more toiletries / skincare as they are really pricey. This will vary depending on where you are moving to so the key is to do lots of research. Humidity in Singapore is sometimes up to 90% so this is something I worried about as I knew it would be a challenge. It actually was much less brutal than expected and I generally love living somewhere hot! I have adjusted my makeup routine (always apply SPF, hardly ever wear foundation now and live for the Urban Decay 'Chill' makeup setting spray) and I've learnt to live with 'Monica in Barbados' hair (one for the Friends fans). The advice I'd give here when adjusting to somewhere hot is to always carry extra sun cream and a cooling mist like the one from Eau Thermale which I swear by. It's also best to try and live with natural hair rather than battling with heat styling, so bring any hair products which may help with this - like the Bumble and Bumble surf spray. On days out take clothing layers out with you. It might be scorching hot but the air con in hot countries can be fierce. It is rainy here most days in the afternoon so you will always need a good quality umbrella with you, even on a night out, so don't bring tiny handbags that won't fit one! This one was mainly easy for me as most Singaporeans speak English, although where we live is a Malaysian area so not all the locals are fluent. We sometimes have to rely on pointing at things we'd like to eat! I have Turkish family who speak brilliant English but I still have to be mindful about how I speak so this is something I am quite used to. My top tips are: don't use your own local colloquialisms, speak slowly but politely, be very patient and repeat if necessary. Also, the fewer words used the better! There are some funny 'Singlish' phrases used here which we have soon got used to, and it always amuses me that buy one get one free promotions here are expressed as '1 for 1'! Wherever you move to, you'll soon get to love its little quirks. This is a massive issue to consider when relocating - you might have more of it or you might find your money doesn't go as far. I've had to try and think harder about spending money here as I am a full time student. My main tip is to do your own beauty treatments. I wax and tint my own brows with great results. We try to eat at Hawker centres in Singapore whenever possible as they offer inexpensive meals. I also like to take advantage of 'ladies night' here on a Wednesday where drinks are pretty much free! Last Wednesday I went to Exchange bar where it was free vodka and mixers, cocktails or rose pretty much all night (great for the purse, awful for the head!). Public transport is a good way to save money where possible - in Singapore the public transport system is brilliant so I tend to avoid paying for Ubers / Grabs unless it's late at night. This will depend on where you are living and you should never compromise your safety to save money on transport. This can be one of the most common worries about moving abroad depending where you are moving to. My favourite thing about Singapore has to be the number of different cultures and races who live here and how inclusive it is. Some things are different, for example here you can't eat or drink on public transport and you must only cross the road at designated crossings. There isn't any issue with dress code as it is a pretty liberal place, other than some religious buildings where you need to remember to cover up. My biggest piece of advice for this is to look for signs (e.g. the no food / drink sign on the transit system) and watch the locals if you are unsure what to do. The most rewarding thing to do in a new country is embrace the culture! We have tried not to live like we are in the UK and tend to explore new places on a weekend. Our favourite spots are 'Little India' and 'Arab Street' which have amazing food, colours, sights and smells. Whilst daunting, I find cultural differences the highlight of living abroad! For those who are relocating with work, or starting a new job. I'd say the tips to adjust are quite similar to starting a new job in your home country. Do a test run to get to the office as there is nothing worse than a stressful first day commute. Also, throw yourself into any activities that are planned with colleagues as this is a great way to meet new friends and experience local culture. You'll soon wonder why you were worried about moving! A list of worries wouldn't be complete without what is probably the most common worry about moving abroad: where am I going to live? 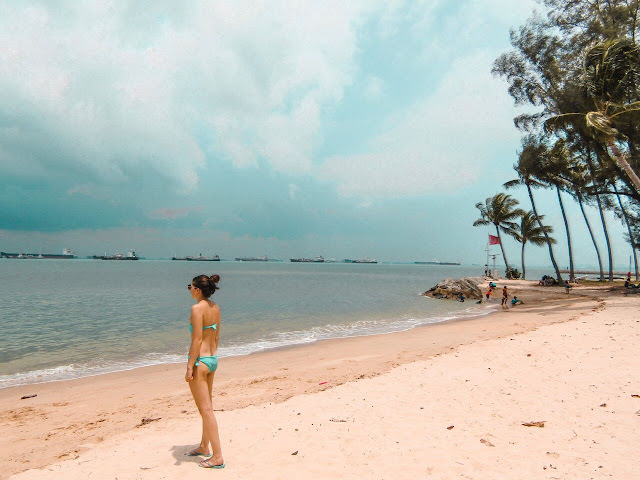 We had to sort accommodation ourselves and it was hard having never visited Singapore at all. I was so nervous that we wouldn't like the flat. In the end I am glad with our decision to go for an Air BnB for the first 3 months to check out an area before committing for longer. In Singapore be mindful that a let under 3 months is not legal so be careful with Air BnB, we got a proper tenancy agreement for the full period so it was all above board. The area we chose was close to the centre but inexpensive. If possible it is really important to spend your first few weeks in a temporary home trying to explore as many areas you can. The flat we have chosen to move to is in a totally different location and so different from this one. That said, I'm really glad to have experienced a different part of Singapore. The choice of where to live comes down to individual preference / budget but I know now you should always have at least a few days if not weeks looking around before signing up to any particular area. Again, expat groups online are very helpful with advice on places to live and can help you find like-minded room-mates. There can be so much going on when planning a move but this is easy to forget about or think 'it will be ok'. I was really worried I would get ill in a new country. I'm super careful with food compared to the UK, I hand sanitise all the time, and would advise you to trust your gut (literally) about places before you choose to eat at them. It is really important to get adequate health cover whether that is through work, private medical cover, or travel insurance if you're going to be travelling around. I found out this year that you can get Backpackers insurance to cover travelling to various countries. Mine was through Travel Insurance 4 Medical who are a great company to use if you have medical issues to declare. I've had a bad experience before of being ill on holiday and finding my travel insurance didn't cover me so this is something I always make sure is sorted in plenty of time before I go anywhere! I called them up to go through everything and made sure any medical conditions were 100% covered. Don't forget you may need travel insurance as well as normal medical cover if you plan to visit other countries whilst living abroad. 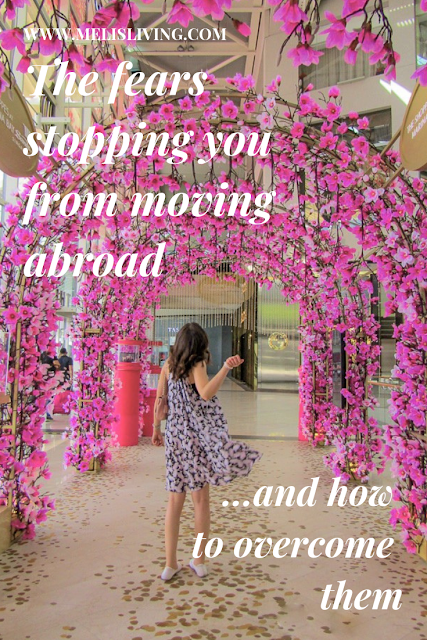 I hope you enjoyed my list of 10 common worries about moving abroad and how to overcome them. I'd love to know in the comments if this has inspired you to take the plunge? Sorry, that comment above was from Amy at Two Wild Wanderers! It didn't save when I entered the name/website! But now you know, haha. Also, hi!